Palestinian Authority official says organization is still in contact with US administration, despite claims to have cut contact. A Palestinian Authority (PA) official told London's Al-Hayat newspaper that the PA continues to remain in contact with the US administration, and even sent the US Consulate in Jerusalem an invitation to the Palestine Liberation Organization Central Committee's meeting, which is scheduled for Sunday. 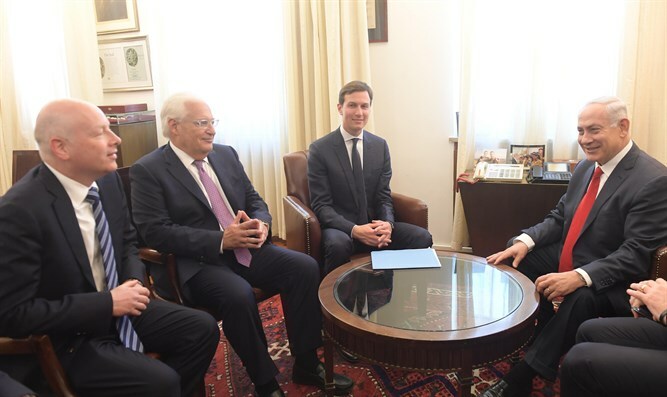 According to the official, the PA cut ties only with those US officials involved in the peace plan, including White House adviser Jared Kushner, US Special Envoy to the Middle East Jason Greenblatt, and US Ambassador to Israel David Friedman. The official also said that "bilateral communications have not ceased, and they include the official channels and security cooperation. However, communications regarding the peace process have completely ceased." Following US President Donald Trump's decision to recognize Jerusalem as Israel's capital, the PA announced that the US would no longer serve as a fair broker in the peace process and was "completely biased" towards Israel. He also promised that there would be "no peace in the region" until Jerusalem becomes the capital of a "Palestinian state." "Trump's staff is Israeli Prime Minister Binyamin Netanyahu's staff, and it's easier for the Palestinians to negotiate with Netanyahu than to negotiate via an American staff," the official said.